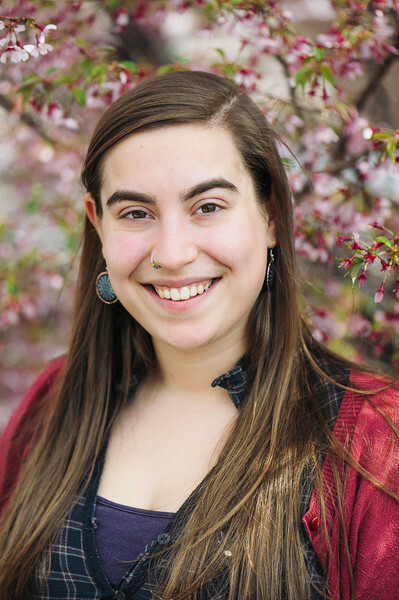 This fall, University of Rochester alumna and Bennington, Vt., native Jordan Shapiro ’14 will continue her study of international relations through the Rotary Global Grant Scholarship. The first Rochester graduate to earn this scholarship, Shapiro will use the grant to pursue a master’s degree at Aberystwyth University in Wales. As an international relations and history major, much of Shapiro’s undergraduate career was spent immersed in humanities research. She was hired as a freshman to work in Rare Books, Special Collections and Preservation at Rush Rhees Library. There, she actively participated in the digitization of two large collections, the Post Papers and the Seward Family Papers. This work shaped several research papers, including her senior thesis, which explored four decades of Frances Seward’s personal correspondence. She also curated several exhibits that featured the Seward collection. She will use this experience with primary research as she pursues her master’s thesis, which will analyze aspects of the 1998 Devolution Referendum. Shapiro plans to use primary documents housed in the National Libraries of Wales to aid in her research. Shapiro also developed an impressive international relations resume through study abroad trips and civic engagement while at Rochester. Through a scholarship from the University’s Department of Modern Languages & Cultures, she studied Russian during the summer of 2013. She also spent the spring 2013 semester pursuing research on the immigration population of Denmark during a study abroad trip. While in Wales, Shapiro’s passion for civic engagement will translate into a position at Penglais School, teaching a seminar on elections, voting, and political advocacy to high school students during the winter semester. “I’m excited to work with Penglais, as encouraging political advocacy in young people helps them not only feel confident in their ability to make a difference, but creates the active citizenship essential to democracy,” she said. According to the Rotary Foundation, Global Grants “support large international activities with sustainable, measurable outcomes … grant sponsors form international partnerships that respond to real community needs.” The Rotary Foundation has a long history of awarding scholarships to undergraduate and graduate students, as well as qualified professionals pursuing vocational studies. Since 1947, more than $532 million has been awarded to 41,000 men and women.